Browse Free or Die is a campaign by Mozilla, makers of Firefox, that has been designed to reward Firefox users with a free sticker. Firefox users who answer questions on their first experience are mentioned explicitly on the project site over on Github. Users who answer a “first experience” question may trigger the sidebar. It is unclear if the sidebar is displayed on other occasions or events as well. 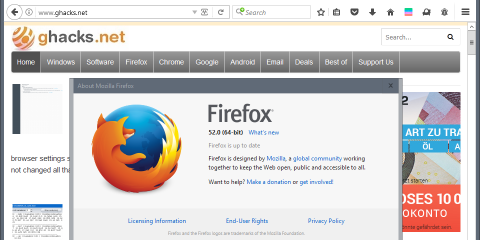 Firefox displays a sidebar panel when the reward requirements are met.It is displayed on the left side of the browser window, and has a close button in the top right corner. We think you’re awesome. That’s why we want to send you this awesome sticker. Totally free. Totally for you. You could say that this is pretty nice of Mozilla, to offer free stickers to Firefox users. That’s probably the intention of the “browse free or die” campaign. Good intentions aside, the campaign is problematic for a number of reasons. The biggest concern that users may have is that there is no way of telling if the campaign is legitimate or not. The popup looks similar to popups that spam sites may throw at you to get you to enter personal information including your name and address. 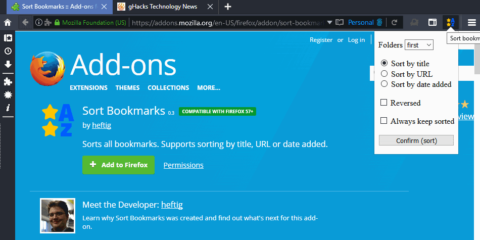 If you can distinguish between sidebar content and popups, you may be able to tell that the Browser Free or Die sidebar is not pushed by a site. It could still be pushed by malware, or a malicious browser extension though probably. 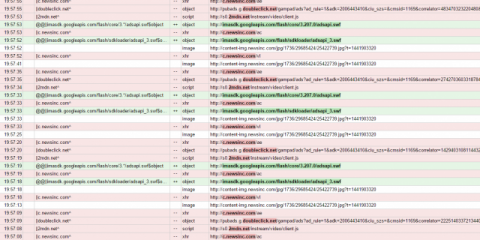 It seems likely that the sidebar may cause concern that it is not legitimate, and that the system may be compromised. The campaign title, browser free or die, seems inappropriate on top of that, and it may feel threatening to some users. 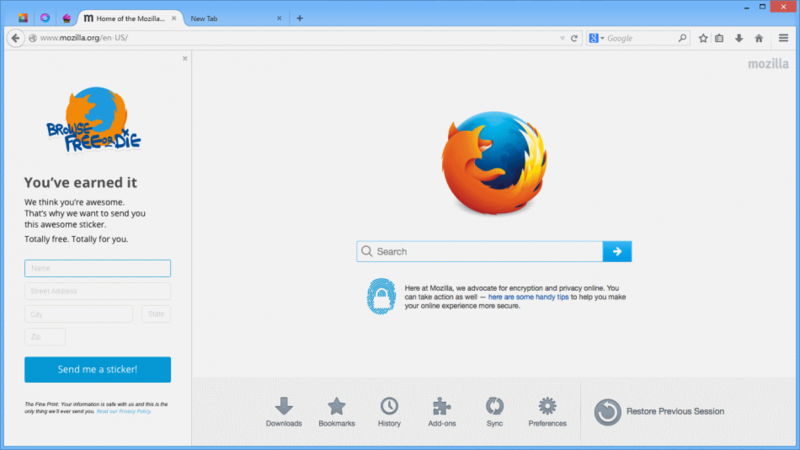 A better title, Firefox loves you or Firefox wants to reward you, would make it look more legitimate probably. A bug has been opened on Bugzilla to get Mozilla to confirm that it is indeed a legitimate campaign, and to rethink the presentation or existence of the campaign if it is. Now You: What’s your take on the campaign? The post Mozilla’s Browse Free or Die campaign is problematic appeared first on gHacks Technology News.